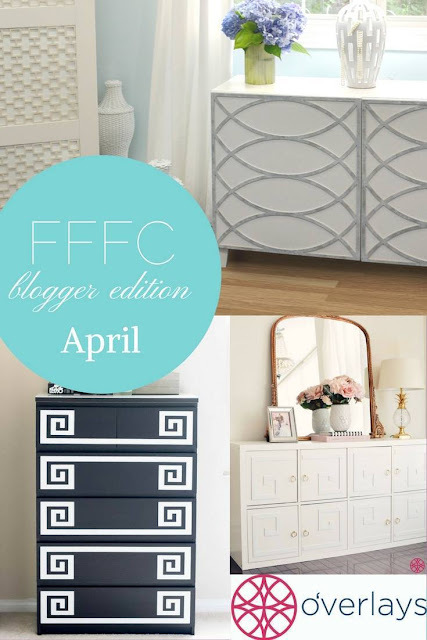 I have a special post for you today! 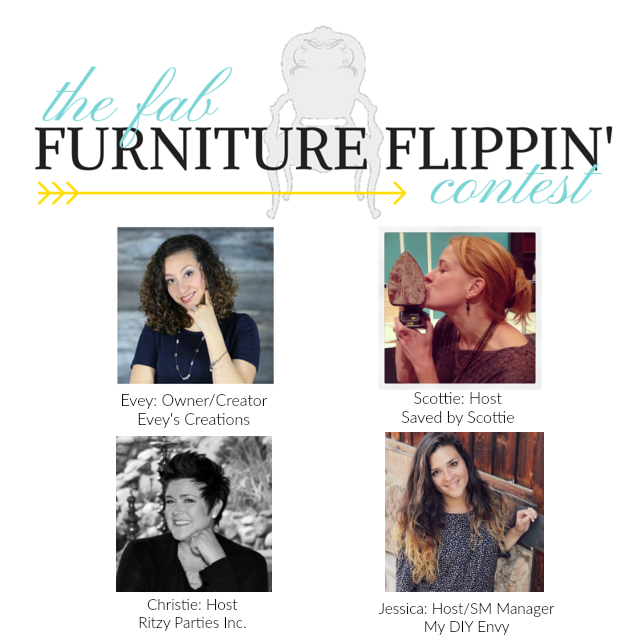 Ya'll, I am so excited to be participating in my very first Fab Furniture Flippin' Contest! 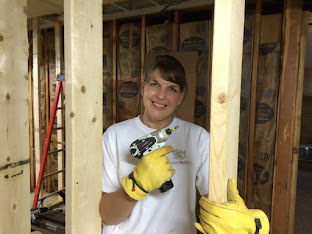 If you have not heard of this, it is where a group of bloggers compete to win prizes by making over a piece of furniture. 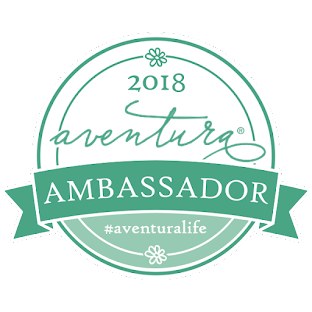 There is a different theme and brand sponsor each month. 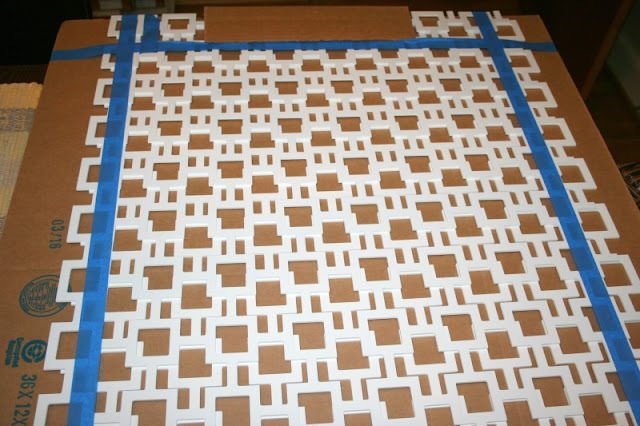 This month the theme is "Cut n Paste with Overlays" and we are using decorative panels from a company called O'verlays, to update a piece of furniture. 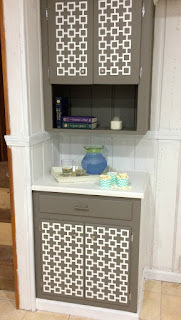 I decided I would use the O'verlays to cover some of the wear on the cabinets and give the built in a fresh look! 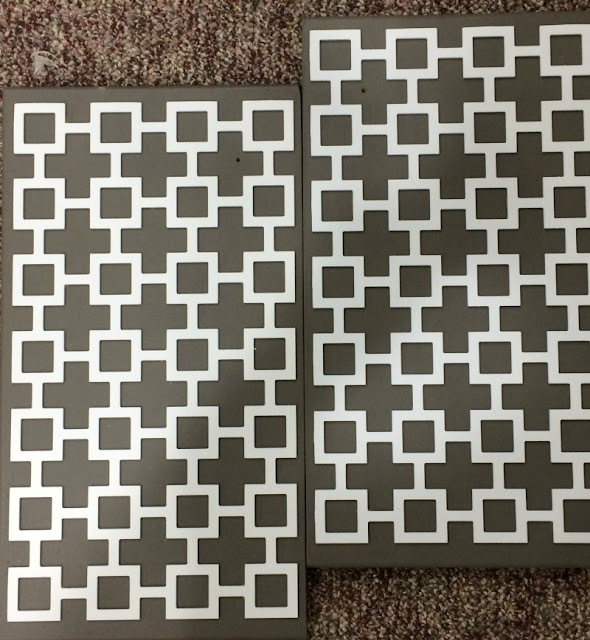 I picked the Harper Mini, because I thought the square design would modernize the look and compliment the rest of our decor. 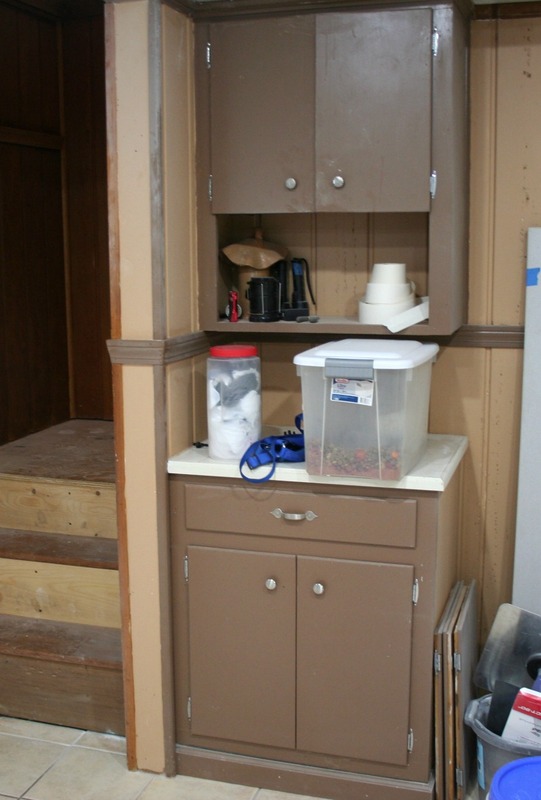 First, I removed the cabinet doors and the hardware, which I am also replacing with modern ones. 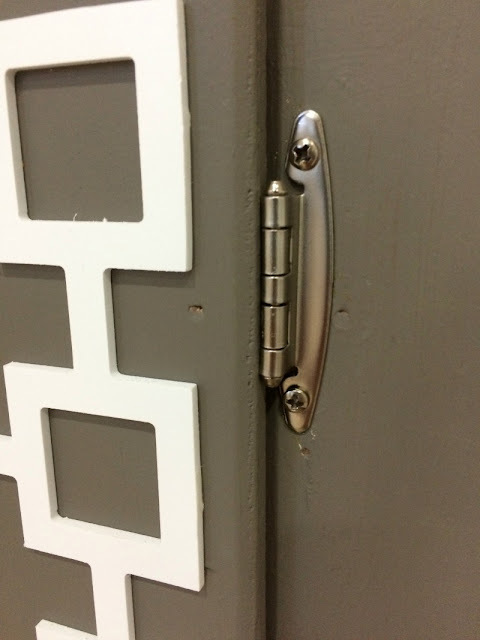 Once I had the doors off, I noticed 2 small holes in the bottom doors from old hardware that needed filling. Once the wood filler was dry, I gave everything a light sanding then wiped the dust off before I started painting. Once I painted two coats of the grey, I realized how dingy the tile looked, so I raided my stash and found a jar of American Decor Outdoor paint in white. 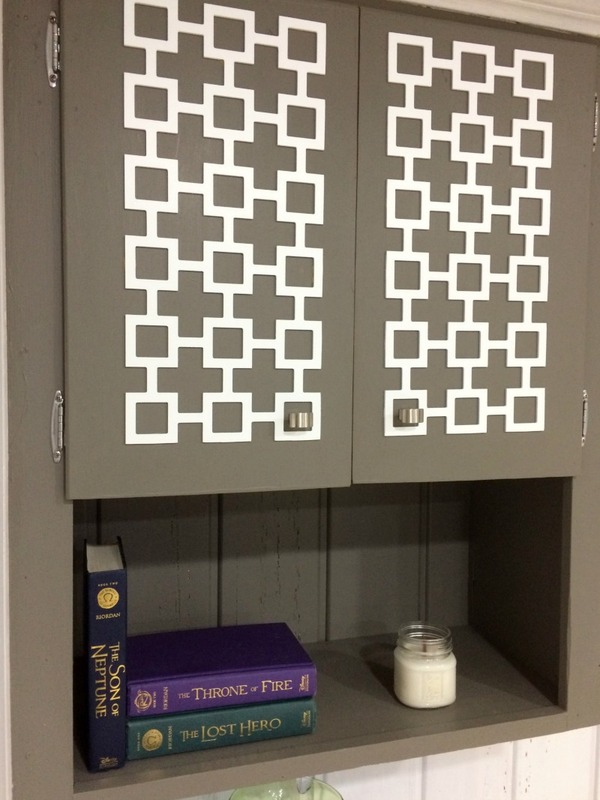 I painted two coats on the tile and the trim to make it pop. 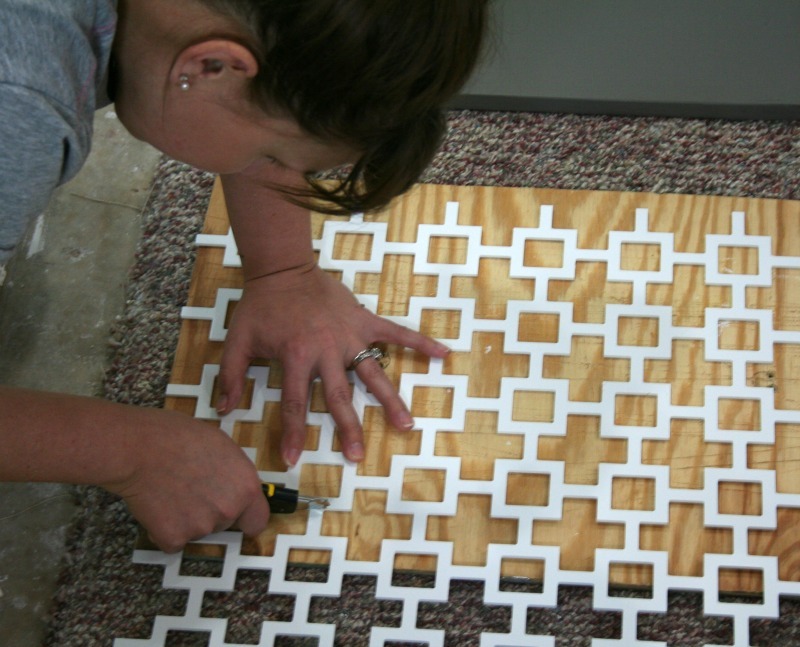 Lay the O'verlays on a flat surface and use a utility knife to cut them to size. It was pretty easy to cut them and you can easily sand the rough edges with a sanding block or handheld electric sander. Once the pieces were cut to size, I measured and marked where I wanted them to fit on the cabinet doors using painters tape. I put several dabs of Liquid Nails on the back of the panels to secure them to the doors. Once everything was dry, I replaced the hardware and hung the cabinet doors. I cannot believe what a difference the paint and decorative panels made to this built in. It went from a piece that blended in to the wall to a statement piece! 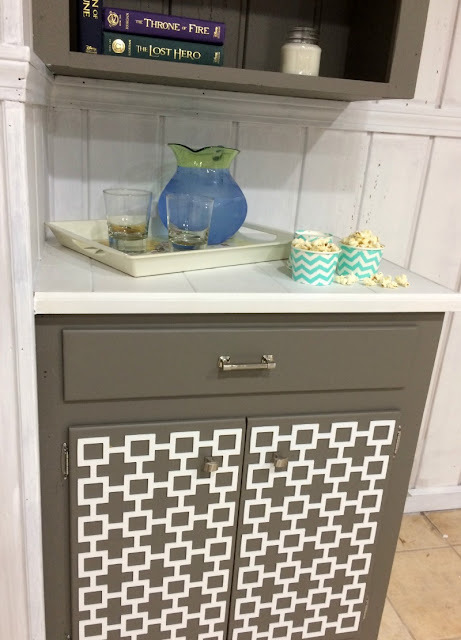 It is perfect for setting up a snack and beverage station in our new family room! After I took the "Final photos" for this post, I decided to switch out the drawer pull with a more retro looking one from D. Lawless Hardware. I think it looks better with the square pulls. Head over and see how the host's projects turned out and get inspired by the other participants too! If you would like to participate in future contests, please contact info@fabfurnitureflippincontest.com to find out how! 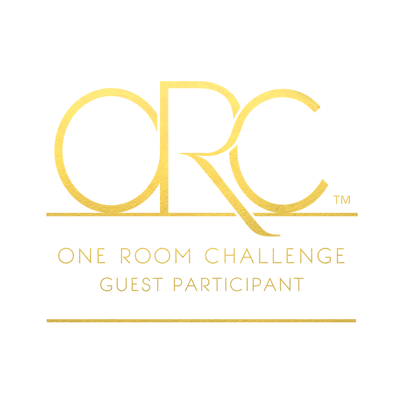 Disclosure: A special thanks to O'verlays and D. Lawless Hardware for providing product for this Fab Furniture Flippin' Contest. All opinions are 100% my own. This is a fantastic makeover. The overlays really add pizzazz to the cabinet doors. 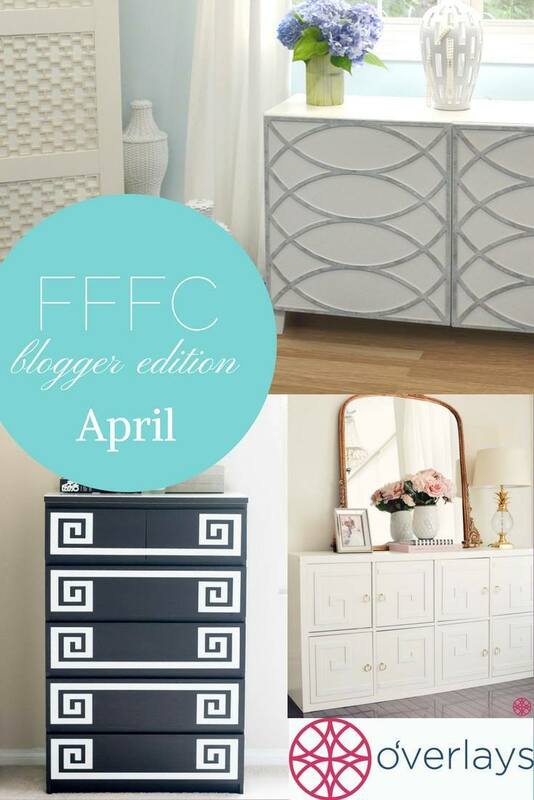 What a fun blogger collab! I can't believe the different in these cabinets, holy moly! They look so much more modern now! They came out so much better than I expected! That's a fabulous transformation! Those Overlays really pop on that gray! Nice work! Thank you! I love the contrast as well! 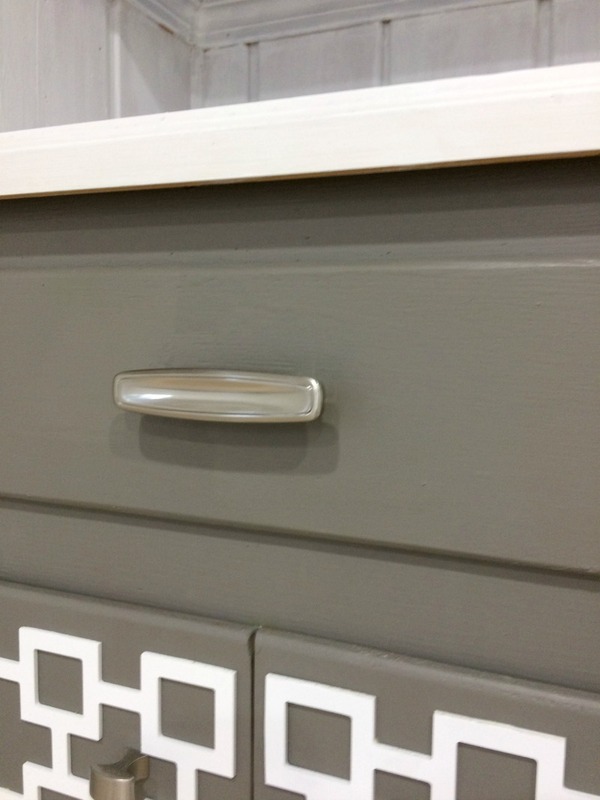 Beautiful application, I can't get over how much of a difference this product makes to a piece, those cabinets look fabulous! Thank you! It turned out so much better than I even expected! 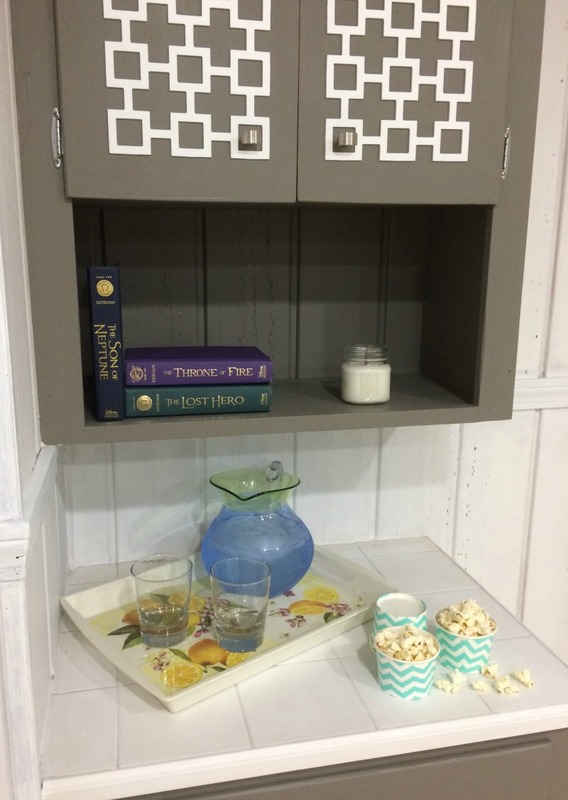 I never would have thought to use Overlays on a built in cabinet, but it looks wonderful! 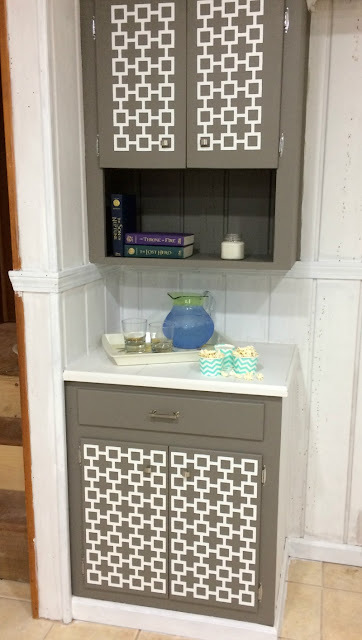 It made the cabinets look like a beautiful piece of furniture. I love the new hardware too. I was not sure about it at first, but love the result! I like how much more modern the piece looks. Great job! I agree! It's a statement piece now instead of an eyesore.